Frozen shoulder is a very common problem that is faced by people who do excessive exercise but the problem can occur to anyone. 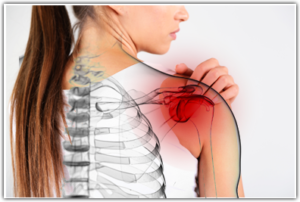 Frozen shoulder is basically a problem in which there is intense pain and inflammation in the shoulders due to the damage to the shoulder ligaments and tissues. The common causes of frozen shoulder problem include lifting of heavy weights, injury, thyroid problems, diabetes, reduction in the fluid that is present inside the shoulder joints etc. The problem varies from one person to another and the common symptoms are pain, inflammation, swelling, reduces movement and stiffness in the shoulder. The problem is very serious and is very painful and therefore needs special care and attention. For Peri arthritis or shoulder pain, you need take 3-4 walnuts (akrot), then 2 spoons of fenugreek seeds and 1 spoon of carom seeds (ajwain). Grind it together and make it a powder and have it in empty stomach. Without grinding you can have it directly and your teeth can grind all the three if you can. This will help reduce the pain to some extent. 50 gms of Rock Salt and 50 gms of Carom Seeds (ajwain) mix it together in a cloth and heat it along with the cloth on a Tava using the Gas. Once it is hot, tap the pain area on the shoulder so long as the heat is there and once the heat reduces, heat it again and repeat the process. Take 4 ladies finger, cut it into half and put them in a glass of water and soak it over night. The next day morning, in empty stomach, you should have it. Repeat this process for 21 days and you will be relieved from this shoulder pain. The treatment of alternate hot and cold pack is very effective remedy for treating the frozen shoulder. First apply a cold ice pack over the shoulder for 5 to 10 minutes. This will help in treating the pain and inflammation and next you should apply hot pack over the shoulder directly which would lead to reduce the swelling for a quick recovery. Do this for 4 to 5 times and repeat this regularly for getting relief. Mustard oil is very useful in treating the frozen shoulder. The natural composition of mustard oil is very useful in increasing the strength of the shoulder muscles and therefore you get immense relief. Not only this, it also helps in reducing the pain and swelling in the shoulder. Gently massage your shoulder with warm mustard oil 4 times in a day. Coconut oil is effective in providing the relief because of the presence of numerous useful nutrients. The nourishing properties of coconut oil aid the shoulder muscles and increase the strength. Not only this, the anti inflammatory properties of coconut oil help in treating the pain, swelling and inflammation in the shoulder region. Massage your shoulder gently with some coconut oil to get relief. Turmeric powder should be used to get a quick recovery from the problem of frozen shoulder. The anti inflammatory compound curcumin present in turmeric effectively reduces the pain, inflammation and the swelling to provide you relief. It also helps in strengthening the shoulder muscles. Apply the turmeric paste on your shoulders regularly to treat the problem completely. Camphor is very effective and useful in treating the inflammation in the shoulder ligaments to provide relief. Massage your shoulder with camphor oil regularly to get the benefits. Pine apple is a very tasty and a healthy fruit rich in the enzyme bromelain. This enzyme is anti inflammatory in nature which can effectively cure the problem of pain and inflammation in the shoulder. You can therefore add it to your routine diet to get relief. Sesame seeds are warm in nature and help in providing warmth to the body muscles. This warmth helps in the recovery of the affected shoulder ligaments and tissues. Not only this, sesame seeds also treat the pain and inflammation very effectively. Soak a handful of sesame seeds in water and consume daily to get relief. Next How to lose weight in AST method of treatment ?